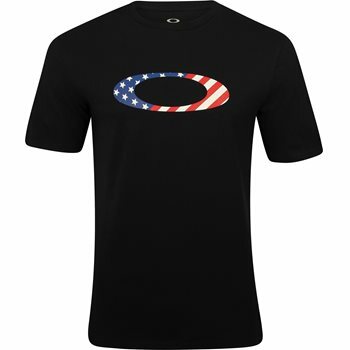 Wear the colors of freedom with the Oakley Star Spangle Banner t-shirt. It features a centered chest ellipse in red, white and blue. The tee is designed with a crew neck and features sueded cotton fabric that offers durability for machine washing and breathability to help keep the dry when sweating.